For the 23rd time, the TOP 100 have been recognized, the most innovative companies in the German middle segment. GTS Generator.Technik.Systeme. GmbH & Co. KG is among this innovative elite this year. The Mögglingen company has previously taken part in a challenging scientific selection process. Innovation management and innovation success were evaluated. 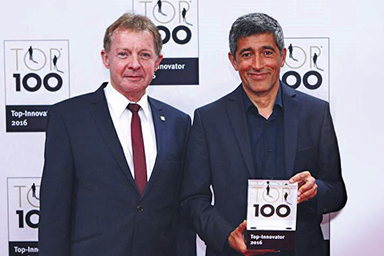 The mentor of the innovation competition, Ranga Yogeshwar, awarded the top innovator during the German Medium-Sized Business Summit on June 24 in Essen. Innovation at GTS Generator.Technik.Systeme. GmbH & Co. KG is driven by top management. Managing director Michael Ebbinghaus-Randerath is personally involved with innovation projects. The family company from Mögglingen has been awarded the TOP 100 seal and produces versatile generators and their electronic control systems. Precise control and high manufacturing quality of the products ensure nearly unique market positioning for the top innovator, which leads the field technically for mobile power generation (generator-inverter systems). 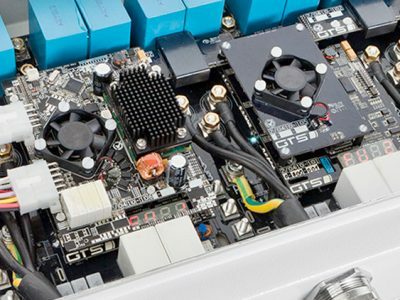 With the development of new generators and inverter systems for bus, train, and commercial vehicle cooling, the engineers at GTS have created access to a new market. Because generators and power electronics will become even smaller, more powerful, and more environmentally friendly in the future, the top innovator maintains close contact with universities, innovation consortia, and research institutes such as the German Center for Aerospace or the Bavarian Mechatronics Cluster. “Thanks to these cooperative efforts, we can reinforce our resources and take on innovation projects where something really jumps out,” explains Michael Ebbinghaus-Randerath. Suggestions for improvement are always welcomed from all 48 employees. Every idea or suggestion is taken serious and implemented quickly. Central to the development work are the customers’ needs: “When we develop our magnetic plate generators for construction machinery, we are talking directly to the backhoe drivers,” says Michael Ebbinghaus-Randerath. 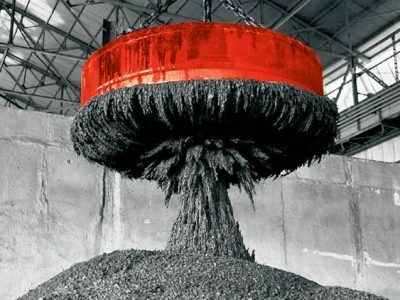 “Reliable long-haul generators” for scrap and metal recycling GTS — much more than a common hundred-year tradition connects the two companies, Gerhard Lang Scrap and Metal Recycling and GTS Generator.Technik.Systeme. 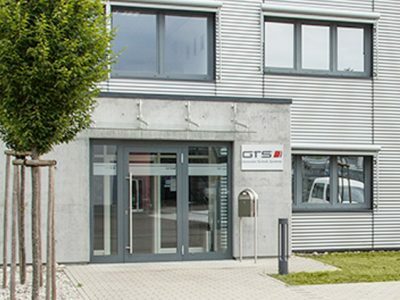 This year, GTS is celebrating 120 years of existence (under current management for 20 years); Gerhard Lang was founded 118 years ago. Both are owner-managed (family) companies that prize quality. The Gerhard Lang company is considered to be an innovative company that can boast of having guaranteed good environmental protection before other companies in the industry, and has large corporations among its clients. For almost 30 years, the company has also had its own lab, where incoming metals can be investigated. On request, special alloys can also be produced. The Lang company sets high standards, not only for itself, but also for the quality of its suppliers and partners. As technical manager Andreas Hatz puts it: “GTS systems have been in used at Lang for almost 20 years. 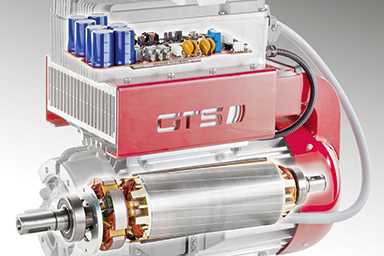 The long service life and robustness of the GTS systems are the most important quality features and the most indicative quality criteria of all. Because GTS generators run for the entire life of a backhoe.”Currently the oldest handling machine at Lang is from 2001, is considerably challenged with about 1500 operating hours annually, over multiple shifts, and is still running reliably with the first GTS MAPLA generator. “Never cause problems” Christof Majkusiak (electrical) and Werner Schneider (mechanical) have been responsible for Lang shops for years and see the cooperation as entirely positive: “GTS generators were the first brushless generators at Lang and are now our only generators. They never cause problems, because they don’t need any outside supply and they are built robustly, with no leaking. Even the electronics work continuously without any trouble and are characterized by continual improvements in recent years, as well as customer-specific software adaptations. Nevertheless, their performance remains constant. The backhoe is not loaded by the generator, as it adapts to the magnetic plate when first switched on. The MMI (Man Machine Interface) displays many errors immediately, such as a short circuit, which is very advantageous compared with almost 20 years ago. “There are more advantages of the MMI worth naming: The remanence (residual magnetism) is discharged using the Magnet Clean Function of the MSF-MMI (Magnet Sorting Function). The MMI can sort more easily and only one MMI is needed for all power classes of the GTS MAPLA generator (8–30 kW), so it is independent of the generator power rating. “Quality is when the customer comes back,” so in this sense Lang wants to use more GTS generators and magnet plate systems. Because GTS generators are “reliable long-term generators,” according to Majkusiak. And whats important to us.